Marika McCoola and Emily Carroll’s new graphic novel, Baba Yaga’s Assistant, is absolutely stunning. McCoola’s debut is part fan fiction, part retelling, taking pieces from the traditional tale and spinning well known characters and tropes into an entirely new story. Emily Carroll, per usual, delivers fantastic illustrations to accompany McCoola’s devourable text. Baba Yaga is everything a reader could want in a spin off. Featuring strong female characters, Baba Yaga has just the right amount of spookiness to keep the pages turning yet ends up surprisingly heartfelt and uplifting. This is definitely a must read for anyone who likes fairy tales, or who is a fan of Emily Carroll’s graphic novel, Through the Woods. 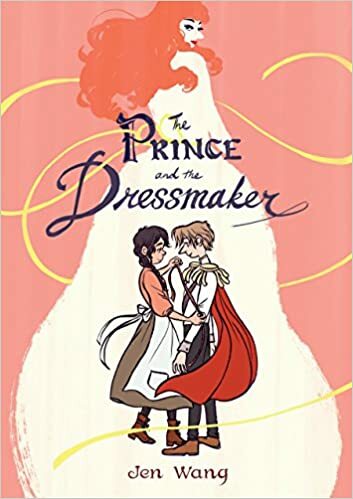 Marika McCoola is an author to watch, and I am hoping to see this team pair up again for more retellings in the future. Since I was small I have loved fairytales. It began with the original Grimm’s tales my mother read. I remember the illustrations more clearly than anything: the image of Rapunzel’s prince stum bling and blinded after being thrown from the tower is one I can conjure readily. Since that time, I have read as many fairytales and retellings as I could get my hands on. It is only as an adult that I recognize the why of this love for, even obsession with fairytales that began as a child. These traditional stories encompass something innately human that has the capacity to be retold in multifarious ways, thus remaining fresh, somehow unencumbered by its own redundancy. Recently this passion for all things fabled has led me to the work of Emily Carroll. With many of her graphic short stories debuting online, it was not until July of last year that Carroll’s first book came into print. Through the Woods is a collection of five short stories all of which find their center in the forest. Definitely not your childhood bedtime stories, each is reminiscent of the archetype while simultaneously obliterating the gap between traditional fairytale and horror. Where Grimm’s fairy tales hinted at the horror that awaited villains–red-hot iron shoes come to mind–Carroll’s tales thrust the reader into truly terrifying confrontations with evil. Evil that not only surrounds each of us but has the capacity to be found within us as well. It is in this way that Emily Carroll’s Through the Woods, leaves the reader unsettled, searching for a happy ending when we know that the journey will begin all over again tomorrow. Accompanied by beautiful full color illustrations that bleed into text, Carroll’s graphic novel debut is stunning. She leaves the reader the space to interpret what is left in the darkness of each page, unsaid and just out of reach.